MONTPELIER, Vt. –The Vermont Fish & Wildlife Department reminds the public not to swim at fishing access areas due to safety concerns. The primary use of the fishing access areas is for launching and retrieving motorboats. MONTPELIER, Vt. -- Vermont’s muzzleloader season antlerless deer hunting permit applications are on Vermont Fish & Wildlife’s website (www.vtfishandwildlife.com), and now printed applications are also available from license agents statewide. Hunters applying online for an antlerless permit will do so through the online license sales system as if they were purchasing a license or a tag using their conservation ID number. Landowners who do not have a Conservation ID number will need to create a profile through the online license sales system to apply for a landowner application even if they do not intend to purchase a hunting license. 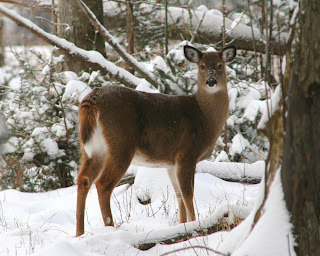 The December 1-9 muzzleloader season has 27,000 antlerless permits distributed in 18 of Vermont’s 21 Wildlife management Units (WMU), which is estimated to result in 3,914 antlerless deer being taken. MONTPELIER, Vt – A new rule passed in 2017 by the Vermont Fish and Wildlife Board requires hunters to collect and submit a pre-molar bear tooth within 48 hours of shooting a bear. 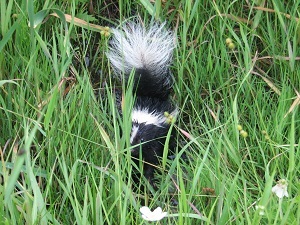 The submission must be to a game warden or other department official. 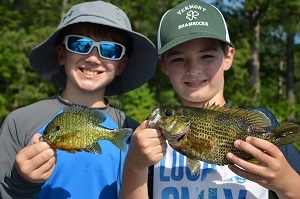 The mandatory collection, created with the advice of Vermont Fish & Wildlife Department, was intended to increase compliance and improve data collection on this important species. Failure to do so is a civil violation, meaning it carries no criminal penalty, nor does it result in points being assessed against hunters’ licenses. Repeated failures can result in a fine of $105.00. This year, 100 hunters failed to meet the new requirements. 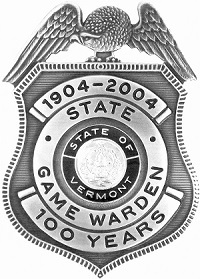 Among those who did not submit a bear tooth on time was Col. Jason Batchelder, the head of Vermont’s Game Wardens. Although Batchelder found the tooth and eventually submitted it, he did so well after the deadline. SPRINGFIELD, Vt. – Keeping a small flock of chickens at home to provide eggs and meat has become increasingly popular, but many first-time small-scale poultry farmers are discovering that several species of wildlife like the taste of chicken as much as we do. 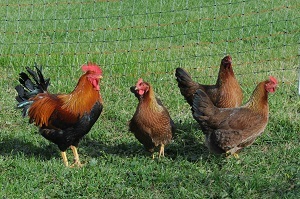 The Vermont Fish & Wildlife Department urges poultry owners to use electric fencing and follow other precautions to protect their birds from predation. 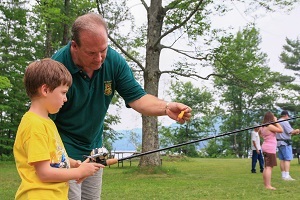 BERLIN VT – The Vermont Fish & Wildlife Department is hosting a public discussion on Berlin Pond fishing regulations on Wednesday, June 20 from 6:30 to 8 p.m. in the Fish & Wildlife Department Annex building at 190 Junction Road in Berlin, across from the Amtrak train station. Bret Ladago, a fisheries biologist with the department will present background fisheries information, answer related questions, collect angler observations, and discuss potential future regulations. 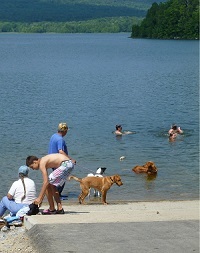 In 2012, Berlin Pond was opened to public recreation, including fishing, for the first time in many decades. A “test water designation” was implemented in June 2012 to reduce potential overfishing of unexploited fish populations. It protected bass from harvest and reduced the limit of yellow perch from 50 to 10 fish daily. This test water designation expires at the end of 2018, and the department is seeking public opinion on future fishing regulations for Berlin Pond. MONTPELIER, VT – Conflicts between people and Vermont’s healthy bear population are becoming more common and Vermont State Game Wardens and biologists have been busy fielding calls from the public. 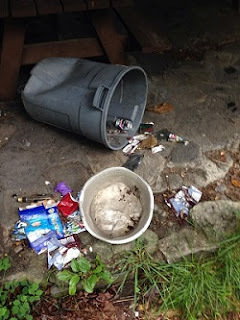 Reports of bears frequenting human areas have been on the rise this summer, especially in the towns of Middlebury, East Montpelier, Lyndonville, Waterbury, Duxbury, Bolton, Killington, Richmond, and Addison. 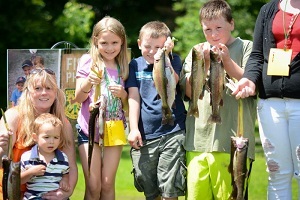 Bomoseen is now in the running for being named among the foundation’s ‘Top 10 Mom-Approved Places to Fish and Boat in the Nation.’ Voting is open now through June 29 and each vote is a chance to win a family fishing and boating trip to Florida. CASTLETON and FERRISBURGH, Vt. – The Vermont Fish and Wildlife Department is looking for volunteer citizen scientists to count bats in the greater Champlain Valley and a few other sites around the state this summer. 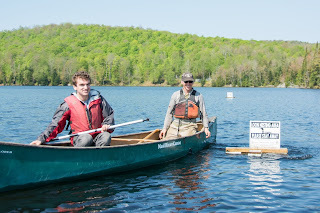 Long-term monitoring is critical to the management and recovery of endangered little brown bats in Vermont. Volunteers will receive training at this event and be matched with monitoring sites after learning about these rare, insect-eating mammals. The events start at 7:30 and finish after dusk, around 9:30. Many of the common tropical fishes and aquatic plants kept in home aquariums originate from Central and South America, Africa and southeast Asia. While some are imported, others are raised here, most notably in Florida. Unfortunately, some exotic fishes are released into the wild each year by their owners. People may not be able to take their fish with them when they move, or they may simply lose interest in maintaining an aquarium. 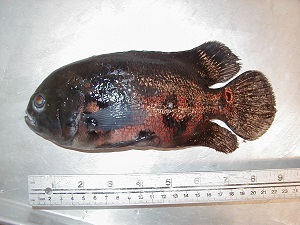 Some tropical fish also can grow too large for their aquarium. SPRINGFIELD, Vt. – The Vermont Fish & Wildlife Department is reminding anglers and the general public as a whole to avoid disturbing spawning sea lamprey that may currently be found in the Connecticut River and several of its tributaries.